Young Fathers are undoubtedly the Scottish answer to TV on the Radio and, perhaps, South Africa's BLK JKS. (With one Nigerian-Scottish member and one Liberian member, this makes perfect sense.) Hasn't been anything this refreshing around since, well, TV on the Radio. Melkbelly's new seven-inch is awfully grungy and the stuff of house shows. They're outta Chicago! More here. DIÄT hail from Berlin and they fulfill the same militant post-punk craving that Total Control satisfies. Positive Energy comes out September 4 on Iron Lung Records. The Henry Clay People are kaput because its members started marrying off a few years ago. 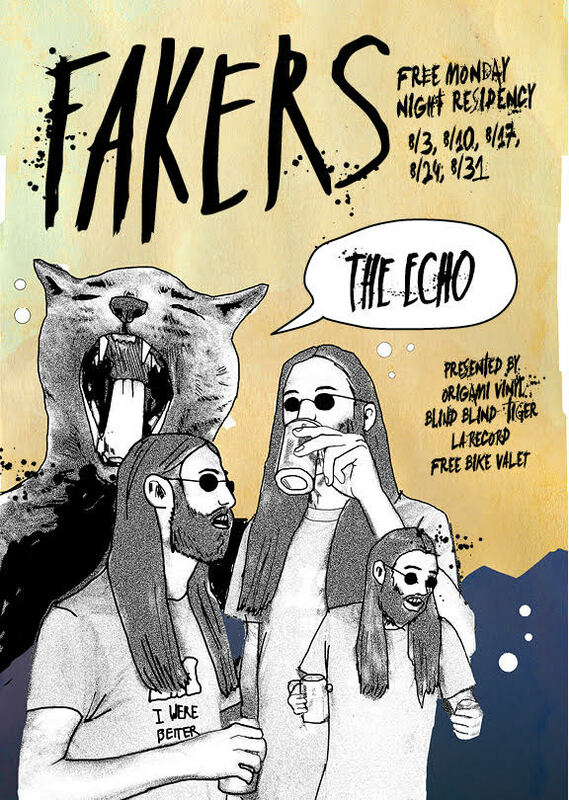 But Fakers partly consist of the Siara brothers, and they're playing a Monday night residency at the Echo in August. Woo!